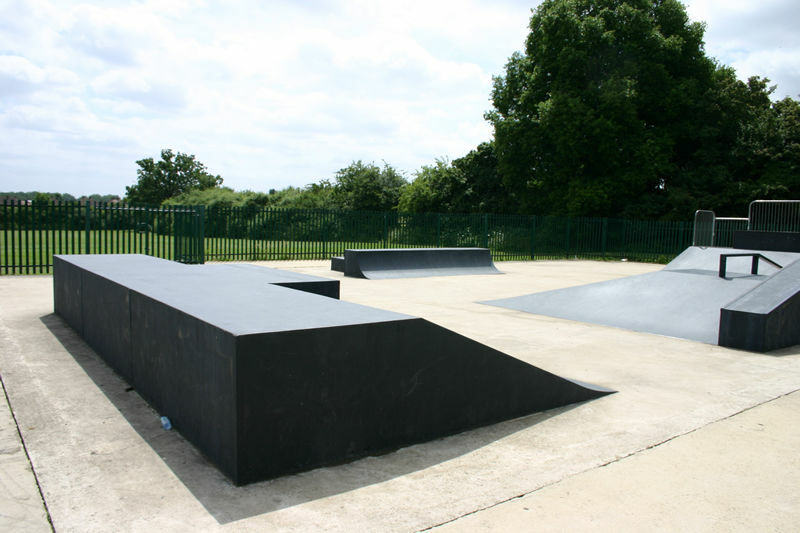 This park is quite spacious with black painted metal ramps on a concrete floor. 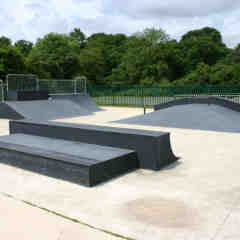 At one end is a quarter pipe next to a flatbank with a sub box. 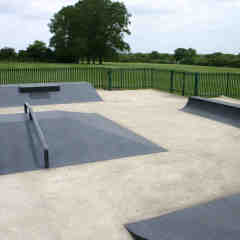 In the centre a nice large pyramid with bubba ledge and rail along one side. 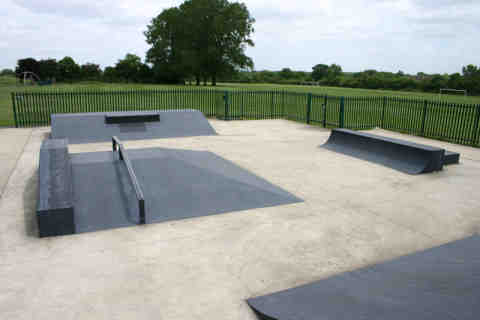 That leads into a flatbank with ledge. 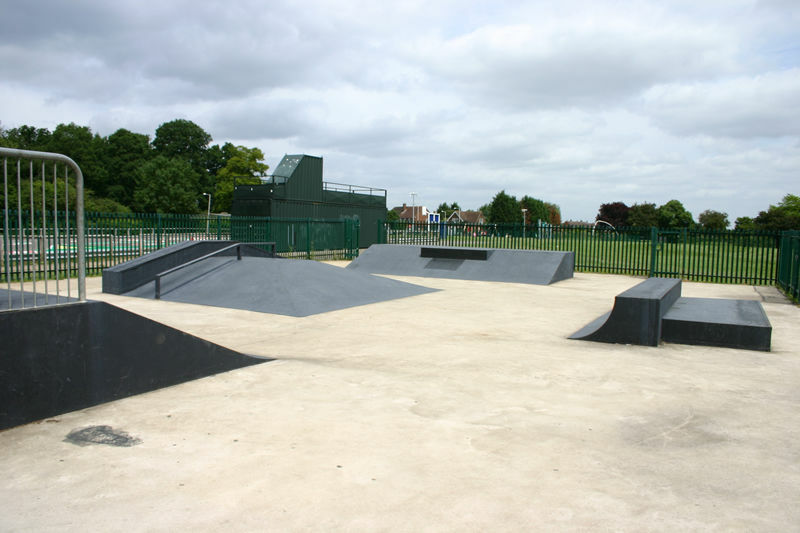 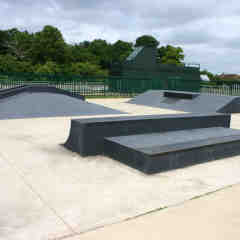 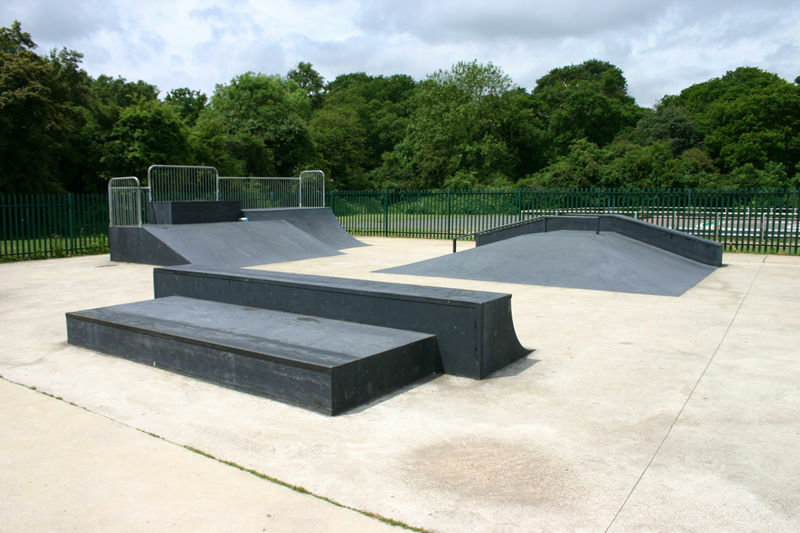 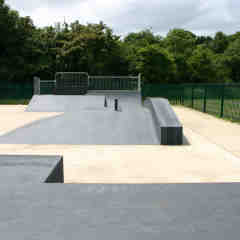 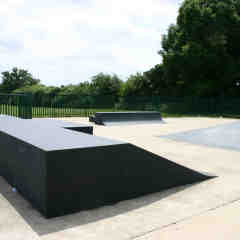 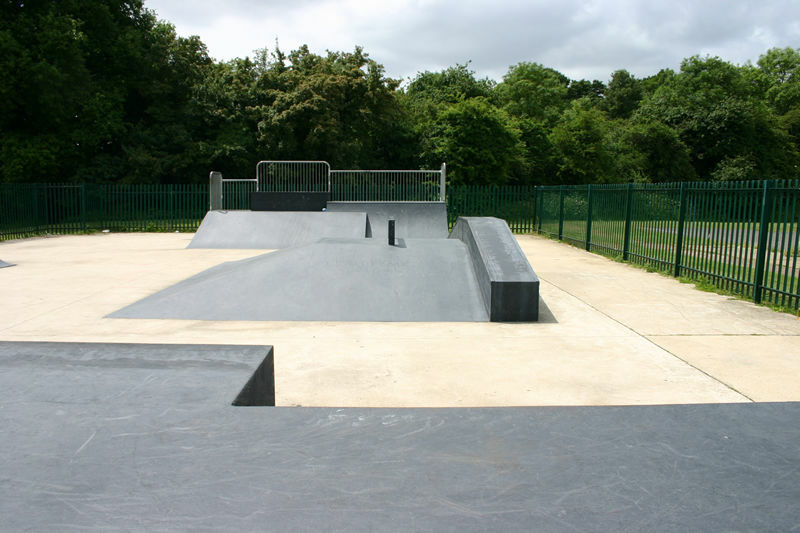 Then off to one side is a T Block ledge and manual pad, with a whippy quarter pipe on the back of the higher ledge. 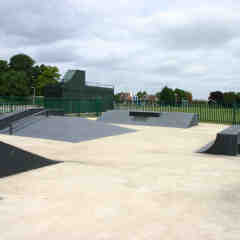 Thanks to Matt Forster for the photos. 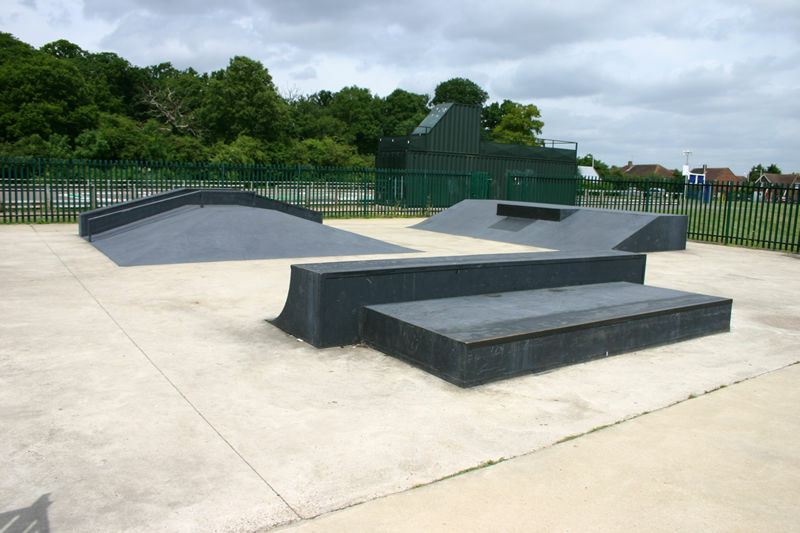 Copyright © 2019 London Skateparks.